Kenneth Koch has been called “one of our greatest poets” by John Ashbery, and “a national treasure” in the 2000 National Book Award Finalist Citation. Now, for the first time, all of the poems in his ten collections–from Sun Out, poems of the 1950s, to Thank You, published in 1962, to A Possible World, published in 2002, the year of the poet’s death–are gathered in one volume. Celebrating the pleasures of friendship, art, and love, the poetry of Kenneth Koch has been dazzling readers for fifty years. Charter member–along with Frank O’Hara, John Ashbery, and James Schuyler–of the New York School of poets, avant-garde playwright and fiction writer, pioneer teacher of writing to children, Koch gave us some of the most exciting and aesthetically daring poems of his generation. These poems take sensuous delight in the life of the mind and the heart, often at the same time: “O what a physical effect it has on me / To dive forever into the light blue sea / Of your acquaintance!” (“In Love with You”). Here is Koch’s early work: love poems like “The Circus” and “To Marina” and such well-remembered comic masterpieces as “Fresh Air,” “Some General Instructions,” and “The Boiling Water” (“A serious moment for the water is when it boils”). And here are the brilliant later poems–“One Train May Hide Another,” the deliciously autobiographical address in New Addresses, and the stately elegy “Bel Canto”–poems that, beneath a surface of lightness and wit, speak with passion, depth, and seriousness to all the most important moments in one’s existence. Charles Simic wrote in The New York Review of Books that, for Koch, poetry “has to be constantly saved from itself. The idea is to do something with language that has never been done before.” In the ten exuberant, hilarious, and heartbreaking books of poems collected here, Kenneth Koch does exactly that. Kenneth Koch published many volumes of poetry, most recently "A Possible World" and "New Addresses." His short plays, many of them produced off- and off-off-Broadway, are collected in "The Gold Standard: A Book of Plays" and "One Thousand Avant-Garde Plays." He also wrote several books about poetry, including "Wishes, Lies, and Dreams; Rose, Where Did You Get That Red? "; and "Making Your Own Days: The Pleasures of Reading and Writing Poetry." His fiction is brought together in "Collected Fiction." He was the winner of the Bollingen Prize (1995) and the Bobbitt Library of Congress Poetry Prize (1996), a finalist for the Pulitzer Prize (1995) and the National Book Award (2000), and winner of the first annual Phi Beta Kappa Poetry Award (2001). 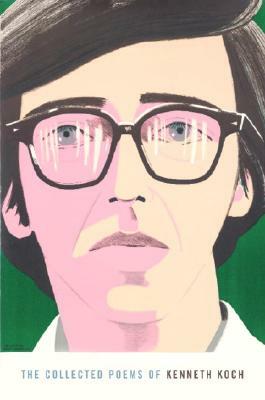 Kenneth Koch lived with his wife, Karen, in New York City and taught at Columbia University. He died in 2002.